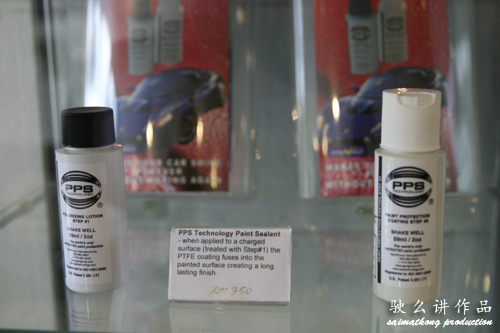 WHY PPS sealant can provide the ultimate protection and the showroom shine for your car paint for years to come. Because PPS sealant is not a wax of any kind but a PTFE (Teflon) coating (the same substance that makes non-stick cookwares so slippery and tough that nothing will stick to it and will not crack or melt under extreme temperature) that will fuse and bond to the paint with U.S. patented PPS technology to create a dazzling, wet and deep shine and will stay and remain there to protect the paint against the damaging UV sunray and all other harmful elements for years. 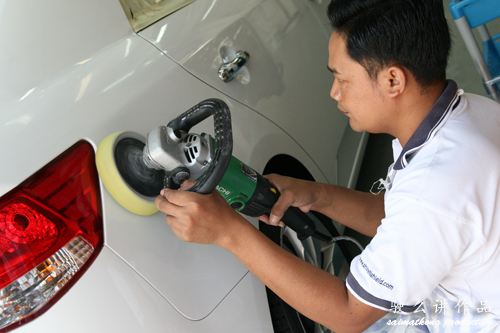 PPS sealant will also help to fill up the tiny paint pores, crevices and hairline cracks and smooth out uneven paint surfaces and swirls. 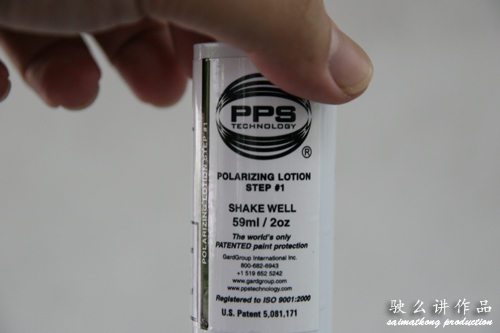 Patented PPS technology is the only permanent protection coating system currently available in the whole world. The PTFE (Teflon) coating is one of the slipperiest substances known to man and it is this slick substance that repels dirt like crazy. The water will always float on the paint surface in the form of beads or water droplets and roll off the surface instead of sheeting off as the treated surface is so slick and gloss that not even water will stick to it. Before PPS.. You could see the watermarks easily.. 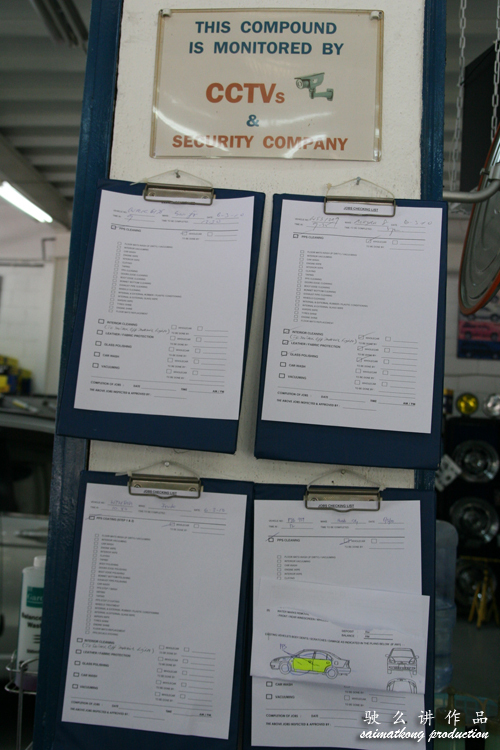 They have job sheet for each car and check list… That’s how the PRO perform the task. 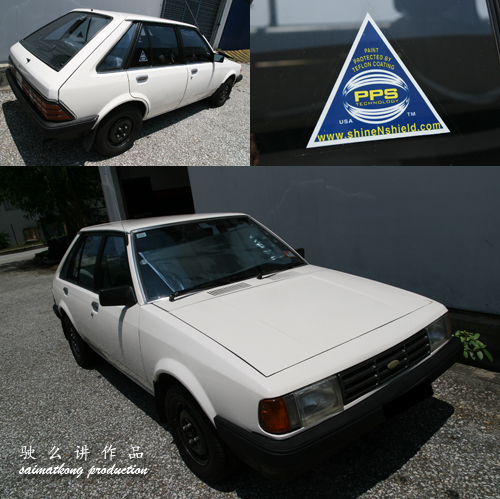 After all the hassle and choosing between PPS vs Sierra Glow, finally got my Whitey PPS-ed, wanted to do a coating to my car so that it will protect the paint and it will still shine and easy to wash and maintain, that’s why I choose to PPS at Sunway. The whole process took around 6hrs+ to get it done. Sad thing was after I done the PPS it rain! I have to use water and wipe it again after that. Next time if you want to do PPS, remember to check weather report k! 1st Step: Car Wash to wash away the dirt and stain. 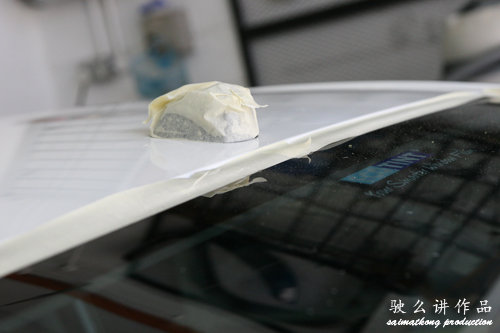 2nd Step: Wrap your car with tape to prevent rubber being PPS-ed. See my car shinny or not? 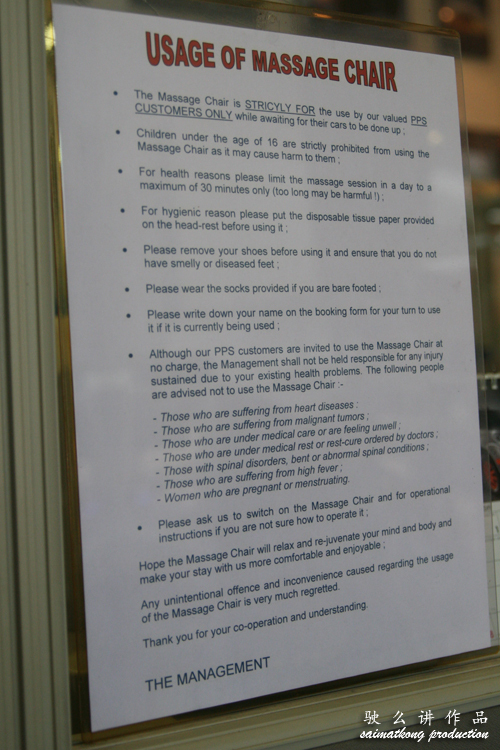 While the whole process you could op to go for shopping at Sunway Pyramid or Makan or Massage at the customer waiting area, there’s a massage chair! Check out the owner Raymond 27 years old Ford! Fill in the form below so that you will be able to enjoy some discount and they will be contacting you. 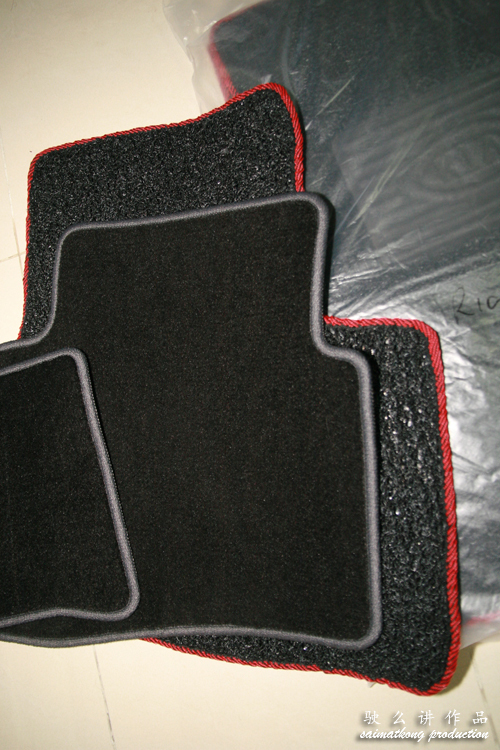 Are you interested to do Car Coil Mat as well? 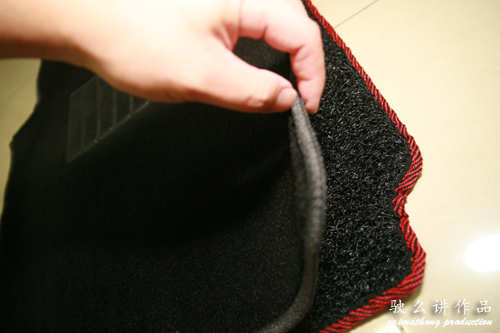 If you are looking for Coil Mat with Side Sewing and Heel Pad, check out this link. 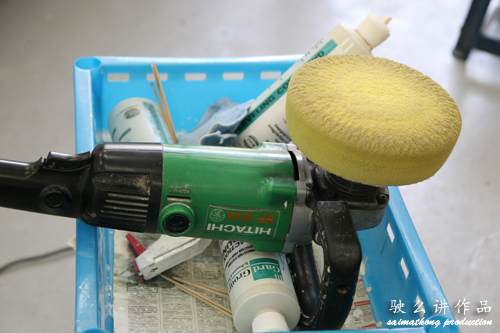 If you wan to DIY you could purchase the sealant from them and follow the steps below. * PPS is not a wax, therefore use it sparingly, over application of the product will create an oily/milky residue and… if this occurs keep buffing until it appears glossy… this could take some time depending on the amount of over application. * Do not apply in direct sunlight. * Do not apply the Step #2 Paint Sealant to non-painted plastic, matte rubber or rubber moldings, remove immediately if this occurs. 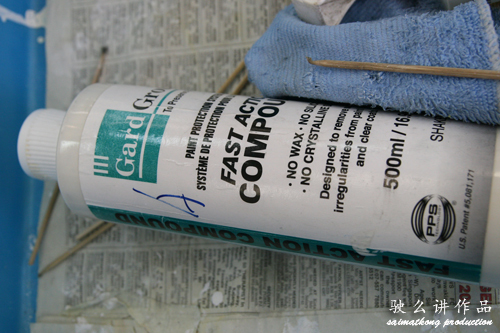 It is advisable to cover those areas with marking tapes before applying PPS Step #2. 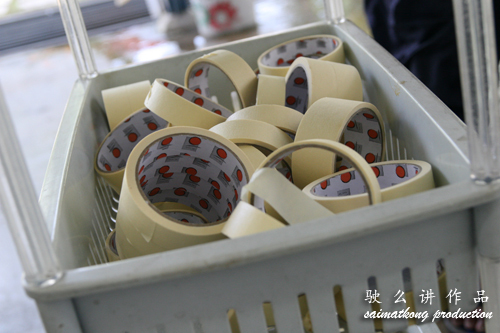 * The curing process will continue for 48 hours and the shine will deepen over this period. * Avoid washing the surface for 48 hours with any type of soap or detergent or drive into heavy rain immediately after applications. * 1 gallon of hot water and a bucket. 1. Carefully inspect the surface for any sign of brake dust, scratches, acid rain etch marks, paint swirls or other damage or imperfections. 3. For oxidized or old surfaces make sure to bring the paint up to as good condition as possible before sealing with the PPS. 4. Make sure the vehicle is clean of all excess dirt and other debris before proceeding with the Step #1. * Thoroughly mix the entire contents of the Step#1 with 1 gallon of warm/hot water. * Rinse the vehicle with fresh water. 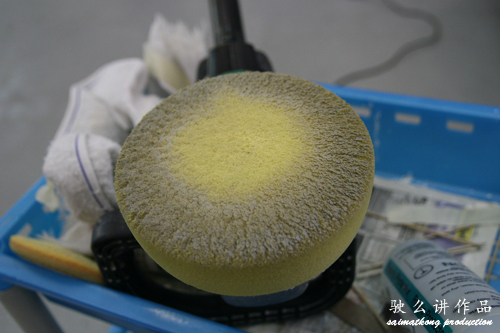 * Wash the entire surface with the wash solution using a clean wash mitt. * Rinse the Step #1 from the painted surface until the water runs clear and there is no more soap residue. * Thoroughly dry the vehicle with a clean chamois / micro fibre towel making sure to dry seams, mirrors and molding where water can be trapped. * Put a small amount of product (size of a silver dollar) to an application sponge or 2 – 3 circles of product onto a terry cloth bonnet with an orbital buffer. * Apply the product to the surface in a circular overlapping motion working on a 2 – 3 foot section at a time until the entire vehicle is covered. * Make sure to leave the Step #2 on the vehicle at least 15 minutes. * Going back to where you started applying the Step #2, using a clean soft cloth / micro fibre towel / orbital buffer with a clean terry cloth bonnet start removing the product in the same manner as you applied it. You are done. Kia Forte ECU problem – Where to repair the faulty ECU? how long can the coat last? Need to reapply it after certan of number of months / years? 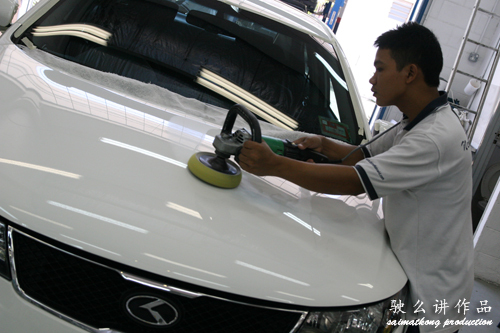 warranty for 5years but recommended to go back for maintenance for 6-12months period depending on your car paint condition. if you want I could put you in for 20% discount. I am interested in it. How much after 20% discount for Nissan Grand Livina? hmm not that sure will get back to you then. wahh serious? how come such a small world and you end up reading my post? what is ur car? Hi pal, does it really work? really work as in? what are u referring to? I read something about getting it serviced every 6-12 months, how much does it cost? and do you know roughly how much it cost to do it on civic? I’ll get it done once I get my car. But its not going to be anytime soon, FD2 T.White takes forever. Buy thanks a lot, will get back to you. I’m interested too.. I’m getting my car done.. but how to get the 20% discount? I need to collect 10cars then will be able to get the 20% discount for you. Are you interested? u can do it on Saturday or can leave your car there and go to work perhaps? 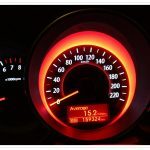 Hi, may I know how much does it cost(witohut 20% discount) for Honda Civic 2.0s? I’m planning to go tomorrow..any chance I can get the 20% discount then? can you email me your name and contact? will try to talk to them but not sure can have to gather more cars and your scheduled is tomorrow? have you done the booking? Yes, I booked already coz I wanted to do it as soon as I can AND the weekends (the upcoming one and the following one) are already full.. my weekdays ahead are pretty busy. Getting a new medallion gray Myvi this weekend and wondering if a PPS is what it actually needs. Shall I wait till I see it or should I just put my name with you. All described sounded so shiny and tempting. hey, ya you can decided and let me know then. i wan to apply pps on my forte, any chance to get 20% discount? I have to compile 10 cars in order to get 20% for our forte gang, but if you want you could give me ur name and contact to my email. or if u want fast I could secure 15% for just a single car. Seeking for your kind opinion. 3M’s Scotchgard vs PPS. Which one better for scratch resistance? Takut one day got some people wif scratchy bags try to squeeze by the side of car. How much it cost for 09 honda city after 20% discount??? just get my baby last week, i need to think somethin’ for her. How much it cost for Nissan Grand Livina after discount? hi castro, Nissan Grand Livina – RM980 discount will be depending on how many person on the bulk. are you interested? If yes will submit your name. how much will it be after 20% discount for bmw 320? I want to pps also… can get 20 % discount?? 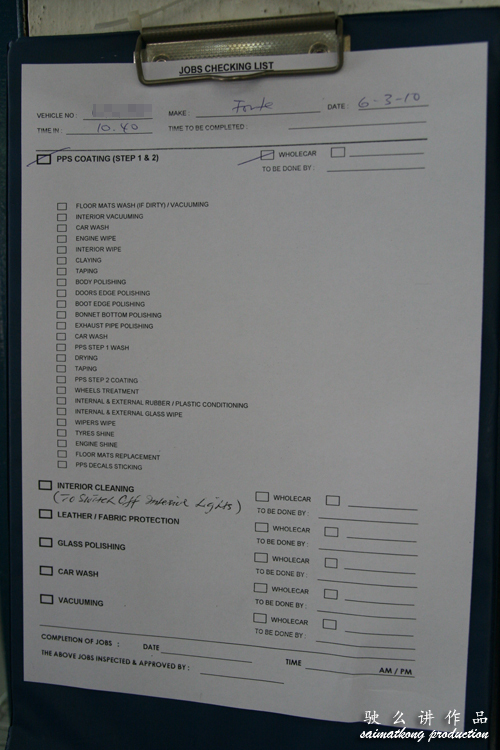 I noticed the checklist includes interior. Did they do anything on the interior? I did the interior after that, it’s RM120 if you want to do it together. hi yang and saiful, can you fill in the form then they will be contacting you instead? Planning to pps my new pug 308 Turbo. possible to get a 20% discount ? Also wish to pps my 5 year old Hyundai Atos. Thanks & awaiting for your prompt reply. hi can u fill in the form? I just submitted the name to them not sure still can get 20% if not will get 15% too. Will get them to call u. If let’s say really possible then maybe I can make my reservation first. Their pc down so I just fax to them yesterday night, should be calling you in awhile, anything update me. thanks. I’ve filled up the form together with my friend but i didn’t received any calls. I’m interested on this PPS frmo ShineNShield. Stil able to get discount from them? I will fill in the form here. Do email me on this when u free! cheers. Keep up your great web mate! they contacted my friend 2 days back and still havent contact me yet. plan to do it somewhere next week monday or tuesday if possible, coz i have to take leave to do this. I’m here right now at ShineNShield. And no saimatkong bro, i didnt asked. I’ve filled in the formm and no reply from you too. Please kindly let’s me know? thanks heaps! hi, for satria neo it’s RM680 before discount. fill in the form if you are interested. May i know how much it cost for perodua alza before discount?? hi Edin, it’s RM980 before discount. smk, I plan to go on this wednesday. Do I still need to fill up the form or i can just tell them smk recommend me, to get the 20% discount? Btw, 6++ hours is long. They provide free wifi? And a power plug as well cos my laptop battery spoilt, need to use my adapter. P/s: hows your interior coating? Nice? I plan to do it as well. Snapper, ya you can just call them but I think without bulk only can get 15% after negotiation for our members. Interior is good to make it shinny and oily dashboard but my seat yet to do coz no time to do yet. I am getting my civic in 2 weeks time man, finally. So is it possible to get the 20% off? Hi, i would like to my new BMW 320, can you help me to get discount? May I know how much before discount? May I know your experience after using for many month? Ya sure will give my readers rewards. 15% discount. Before discount is RM880. So far so good, it’s easier to wash and shinny after wash.
Hi, bro thanks. What abt if I can get few more bmw 320 say 4 more, can I get 20% discount? May I know how is the process? Go directly to the shop just by saying yr name? Thanks. If more cars then I can help you to ask for best price too. I will let you know. I have checked that’s the best that they could give, if your friend want to enjoy the discount ask them to fill in the form too. Enjoy your shinny car thereafter. Hyundai Tucson is RM980 and yes still can get 15% discount, just fill in the form and you will be contacted. Hey tian leong, how much you think is the price for persona? If my car got scratch, is that ok? Hey Ikmal, is your car less than 6 months old? 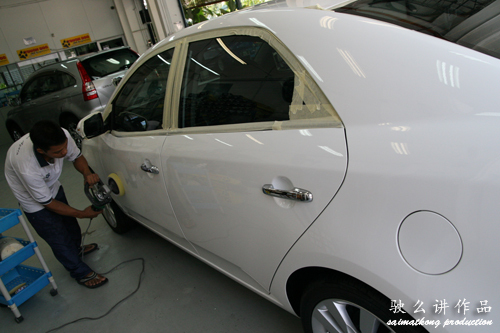 If yes then no prob, minor scratches can be gone but if the paint also tak da d then cannot lo. need to do touch up then. Am doing my PPS tomorrow with the 15% discount after I put my name in and Raymond called me. 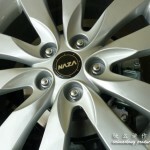 For your car, did they PPS our Forte rims or not? PPS rim? how to PPS rim ah? Bro! Still can get 20% off for the PPS application? interested in doing it..
Hi Chill, yes just fill in the form will do. okies.. but my ride is a myvi.. any idea when we could do it? Just fill up the form and you will be contacted for the arrangement of it. Hi, what is the price for nissan sylphy? Nissan Sylphy is RM880 before 15% discount if you interested in PPS then pls fill in the form. Is the discount still available? How much would it be for a 2006 Toyota Rav4 (4 Door)? Yes, still available, just fill in the form and can get 15% off. Cannot get 20%? only 15%? I just bought my forte and I wish to put the pps for my car..can I know the price and how many discount I can get? The form is get from where? 15%. Please fill up the form and you will be contacted shortly. How can I get 20% discount? Just fill in the form as I told you. Hi MutaMuta, alright they will schedule a time with you shortly. Thanks. saimatkong,ops…i oledi book this sat morning ler…so can i join to enjoy 15% discount? I done it with my car. 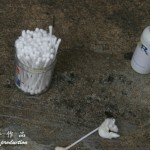 Give a thumb up to saimatkong, Owner Raymond told me tat you are doing charity task, this is good! submit the form but no one called me yet. Can I just go and mentioned your name to get the discount? Bro SMK, i just submitted the form. How long roughly will they take to get back to me? Also, after discount, how much will it cost? Thanks! They will contact you. It will need whole day from morning till evening. Hi Saimatkong, where can I find the form ? can send me a copy ? I have replied you d.
Bro sending my peugeot this coming friday 1st april 2011 can assist to arrangr for discount. Pls PM procedure. Just fill in the form and you will be contacted and given the 15% discount. Have you submitted the form? If yes then will contact you and arrange the appointment with you. Saga should be RM780 before discount, if you would like to join in the discount do fill in the form. I just got my City last week, would like to consider getting PPS next week, how much would it cost for new honda city to get PPS? For PPS for Honda City is RM780 before discount, if you would like to join in the discount do fill in the form. Can I get the 20% discount as well? Intend to go next month. Yes still able to get discount but it’s 15% discount that you can entitled. You just need to fill in the form and they will contact you on the appointment. I am in Penang area, would the discount form also available for PPS penang branch? If Penang, do contact the Penang branch. I’m not too sure as this offer is for Sunway branch. Planning to pps my white forte sometime soon. Will fill up form shortly and hopefully can get 20% discount. Do i need to make appointment with them? They will call you for appointment and it’s 15%. Thanks for your reply. How much would it cost for a Nissan Sylphy before discount? Do you know when they will contact me after submitting the form (I have submitted yesterday)? PPS for Nissan Sylphy before discount is RM980. hi everybody. I just did my PPS today. The price before discount is rm880. So after the 15%, it is rm748. I also did the interior protection package. No discount! Rm160. Total cost was rm908!! They were very detailed. I m very happy with the result!! Thank you bro SMK! 🙂 for getting us the discount!! Tuscon is RM1080 before discount and after discount is RM918. I just got my golf gti last 2weeks, would like to consider getting PPS next 2weeks, how much would it cost and ?discount for new golf gti to get pps? Hi spab, Golf is RM880 before discount, fill up the for for the 15% discount. May I know where can dl the form? how much for new honda accord? Hi spab, sorry for late reply, just saw the email, it’s RM980 before 15% discount, the form is in this page embedded. How much for Mazda 2 hatchback after discount? Hi, I just bought a Honda City, how much would it cost for PPS? Thanks a lot~! PPS for Honda City is RM780 before 15% discount. Hi, your friend told me that i can directly call a person and told him that you introduce me to him, then i can ask the details and also the discount. 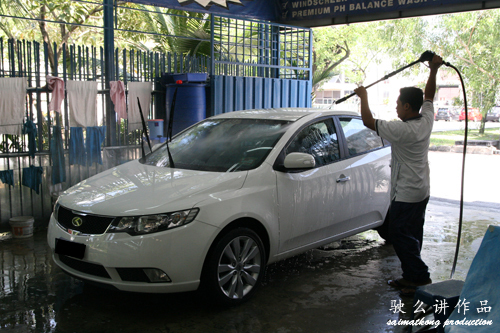 i plan to choose PPS because they provide cash wash service. But the guy just give me a normal price and ask me to go back to you if want to know the discount even though i mentioned your name. besides that, he said that no guarantee that i can get car wash service when i go there and need a wash.
before this call, i went there personally to ask some details but even though they said that will give 5 years warranty but then not guarantee for this and that. not sure what is warranty that they actually giving then. not happy with the pre-sales service now. Their main business is in Car Detailing so when they have a lot of cars they might not have the time to wash car. I was told about that too. 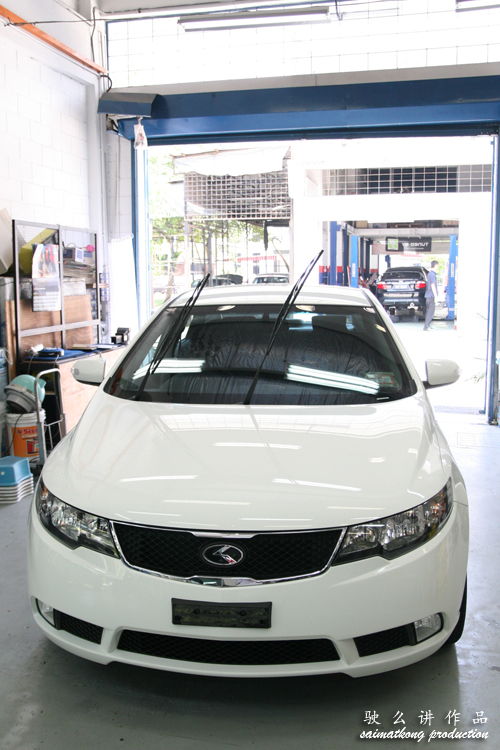 Rest assured the will do their best in the car detailing and you will be happy for it. since i have been told to ask that person, i just want to get the confirmed information and then know that when can i send my car to do the detailing because i want to do it asap. but that guy seem like don’t want to talk more and keep on asking me to come back to you. that’s one of the main reason i’m not happy with..
Hi, do you the price for inspira and accord? My friend and I are planning to do PPS and hopefully can get a better discount for this. Have you filled up the form? It will be a 15% discount for each car. Yup, i have fill up. Bro, how long do they take to contact me as i want to plan my schedule? Hi Jeff, they will contact you shortly. Hi, I talked to Raymond & mentioned your name but he said must GB of 5 cars then only can get 15% discount. Is that true? Anyway I have booked for appointment on May 30 so I hope you can help me out on the discount before that. Thanks a lot! GB of 5 cars? GB = Group Buy? Nope, you just need to fill in the form and you can get 15% for every single car. I called them up just now and they said that my name did not appear in their list. I have filled up the form again. Can you please forward my details to them? Once you have done that, i will be able to call them to check on it. I have already submitted to them. hi… may i know how much for vw polo 6R ? hi may i know how much for vw polo 6R? Polo should be RM780 before discount. You can submit in the form anytime. PPS for Madza 6 is RM980 before discount. I submitted the form, what’s the final price after discount for my Mazda 6? It’s RM980 before 15% discount for Mazda 6. PPS for Ford Fiesta is RM780 before 15% discount. I prefer PPS as it’s using Telfon and maintenance is a must because to make our car shine again and I’m still loving it. Hi, just got my exora white, would like to pps to protect it from yellowish. how much would it cost? discount still available? Yup, still have 15% discount. The PPS price for Proton Exora is RM1180 before discount. hi, thanks for the info, have filled up the form, how to get discount? They will contact you soon. Hello.whats the price for 308turbo?and could u be specific about the maintenance needed? Hi tunafish, pps for Peugeot 308turbo is RM880 before 15% discount. 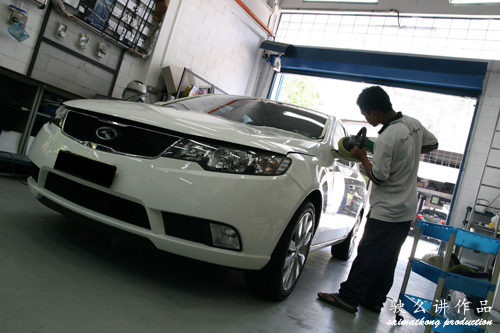 Maintenance is RM120 can go back every 6 – 9 months depending on your paint condition. Once you done the maintenance your car is like a brand new car! hi, if thre’s some chipping on the paint, will you guys do something about it before pps? hi ed, they will do the step by step thingy and if the chip is too deep then it may cannot do away but will be able to remove all the scratches. Mr SMK,do i need to book?about the discount thingy,i will get it whenever i book is it? Hi bro SMK, I’m from Penang and would like to get my forte done up too. Is the discount applicable to the BM PPS branch? Thanks. Hi Spoke, at the moment I only manage to get the discount for my readers in the Sunway PPS main branch. Hi there, i will like to know how much does it cost for a fiesta ? thanks! It’s RM780 before 15% discount. Just fill up the form and they will contact you shortly. Hi HectorSoh, I long time never go Cari. why? HI, how much for forte? The price before discount is RM1080 for new car. You will get 15% just filling up the form and they will contact you for the schedule. hi, it is available in ipoh area? I got a fiesta HB, it is the price still around RM780 before discount? And I have already filled in the form. Thank you. I got a ford fiesta HB, could you please give me a figure of the price for doing PPS? Hi Scool, Yes, PPS for Ford Fiesta will be RM780 before 15% discount. OK, understood. So, I already filled in the form yesterday. What should I do now? Waiting or I will need contact them? Thank you. They already contacted me, thank you very much! Hi – been eager to try this service. How much is it for a vw scirocco? pls advise. thanks! You fill up the form and they will be contacting you on the price. And after the car has this sealant, how to jaga after that? Any specific dos and donts? Thanks! I already filled up the form. Anyway, how much does it cost for my Volvo S40? Volvo S40 PPS is RM980 before discount. Thanks for your prompt reply. I would be very happy if entitled the 20% discount! Navara Calibre is going to cost how much for the pps treatment. Many positive feedback on Teflon. Is it better than Nano coating? How come cheaper car but cost more le. cannot get 20% ahh. It’s depending on the CAR size and the effort not the cost of the car. Hope you understand that. Bro, what’s the pps cost for honda accord before discount and what’s the discount rate? PPS for Honda Accord before discount is RM980. Can the pps be applied on to windscreen n windows? PPS is to the car body. To the windscreen they have another coating but it’s not called PPS. Fill up the form if you interested. I did the pps and the result was excellent. 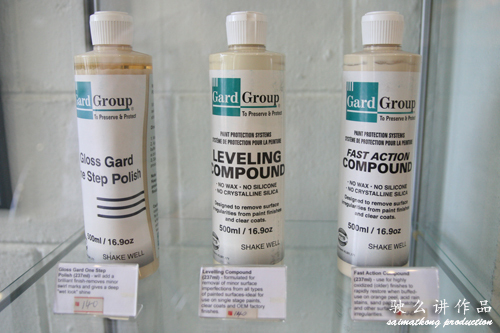 I then found out there is another car paint coat called g-guard , a japanese product. The cost for a sedan is around rm 2800-3300. The cost is 3 times so i am wonsmdering if this product us higher quality. Refer to gguard.com.my. Company at glenmarie.. Any comment ? I personally feel that for car coat don’t need to spend so much. I have came across G-Guard but it’s just way too costly for me. If those big car maybe but what’s the point if the cost can make me re-spray the whole car would be lot’s better right? Should I do tinting first or go ahead with the coating first? Do fill up the form for PPS discount. how to download the form? how much is Toyota vios pricing? The form is embedded within the post itself. PPS for Toyota Vios is RM780 before 15% discount. Do fill in the form. Expecting audi a6 black in 2 wks time. What’ the price b4 discount? PPS for Audi A6 before discount is RM1180. Do fill up the form for the 15% discount. PPS for Mazda 8 is RM1280 before 15% discount. Discounted price should be RM1088. What is the difference between your product and Sierraglow? Is Clean n Shine PPS better? Sierraglow is different product. It’s silicon. PPS is Teflon. how much izzit for BM E90 if need to do PPS? The PPS price for BM E90 is RM980. If any add on bodykits/spoiler is RM1080 before 15% discount. 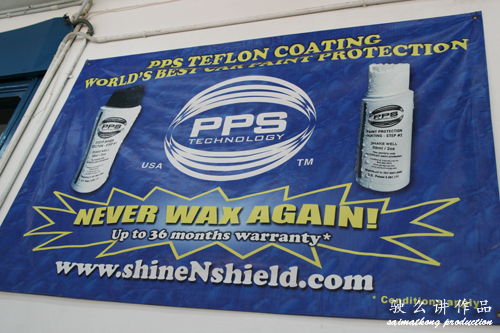 how much for PPS shine n shield for bmw 5 series? PPS for BMW 5 Series will be RM 1080 before 15% discount. Please fill up the form. I just brought a year 2006 Accord. I found out from the car dealer that they did touched up the paint work by respray only one layer of paint. My car looks like new now, however that one layer paint job won’t last. Hence im thinking of getting a layer of PPS for extra protection here. Mr. saimatkong, i already filled up your form. However, i will drop by the shop @Sunway tomorrow morning & try to get it done soonest. Thx! PPS for old car will be depending on the car condition. They will call you to make appointment normally. If you go straight I scare they are fully occupied and can’t do your car. is pps coating including rim as well? They told me Accord year 2006 model will cost RM833 after the 15% discount. 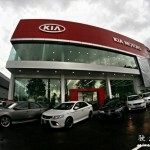 hi saimatkong, what is the price to PPS a Forte Koup? It’s same as Forte. RM880 before discount. Can you arrange for a discount for my Volvo S60 please? i have already made an appt. for 3 Nov.
Have you submitted the form for PPS discount? yes, I’ve already submitted the form! My car is New Honda Accord. Can I know the price for pps. PPS for Honda Accord is RM980 before discount. I’ve already fill up the form. How many discount can I get. Do I need to call them to make a reservation. 15 % discount. They will call and make appointment with you. Haven’t receive any call from shine n shield. Do I need to call them? 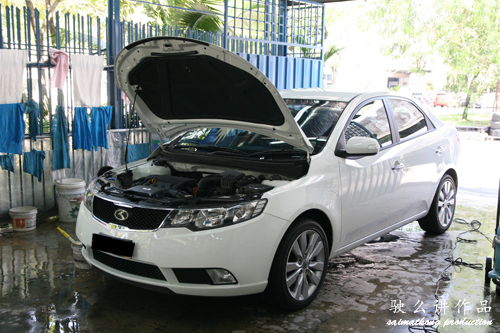 i did pps for my vios last yr dec, now i wanted to do pps for toyota wish, best price pls? It’s RM1,180 and with 15% it’s RM1,003, could you fill up the form and you will be contacted for the appointment. Nissan latio hatchback . New car. White. Hi,hyundai santa fe 2011 how much? PPS for Hyundai Santa Fe is RM980 before discount. Hyundai santa fe is 7 seater , how come so cheap RM980 before discount.Mine is T.wish smaller than sante fe after discount Rm1003? You are right. I’m sorry that I have mistaken the model. I will get the correct price and update again. Thanks again. I will confirm with you once I got the information. OK, hope to get better price for repeat customer. Yah sure I’m just trying to help to get better deal. The final price is RM1080 before discount. Pls fill in the form to get the 15% discount. My final price is?maybe next saturday i’ll go pps. The price stated for you is correct. Please fill in the form for the discount. opss..same price..t.wish u are too long and fat. 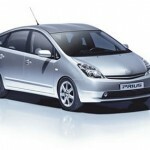 How much is the price for Toyota Vios, new? PPS for Toyota Vios before discount is RM780. I have just filled up the form. I am planning to get it done next Monday or Tuesday. Is that OK? They will call and make appointment with you. Just got to know this Website this morning. I’d made appointment yesterday for my new Tucson coating (schedule is Next Monday). They charge RM1,000 after the nego.Can I get any more discount? Try submit in and see if they get you more discount. what is the price for inspira? i cant see the form , is it the link died? The form is embedded inside maybe you missed look? The price is about RM880 before discount. Hi, how much is PPS for Honda City? PPS for Honda City before discount is RM780. hi, how much for volswagen golf tsi? PPS for Volswagen Golf TSI – RM880 before discount. I already filled up the form yesterday but haven’t receive any call for appointment. Just wait and they will contact you. I plan to send my Golf in will I be gatting the discount? Btw I from Penang. You coming down to Sunway and do PPS? Thanks Saimatkong, do you mean this discount only applicable in Sunway and not in their branch in Penang? I’m not too sure on Penang branch. Maybe you call and check with them? already filled in the form n submit 2 days ago but no one contact me. wish to do the coating next week. Can I contact them directly huh? Yes, they received your submission but there’s too many cars rushing for this CNY so it might be only able to do after CNY. On Nov, they were called me up and booked to send my car by this month, but I lost their contact number. If I am not mistake, it was B—y T—g (dono should I spell the full name) called me. Can you ask them to call me again, I want to reconfirm the booked day. I think I have, will inform them to call you again then. Forte is RM880. With bodykit is addition RM100. Just fill up the form and they will be calling you. Should be after CNY. i called to PPS @ Bukit Mertajam today and I may go to there for the PPS around Chap Goh Meh, my car is 2008 Latio Hatchback, they quote me PPS price is RM 860 if i am not mistaken, after that then only i saw your post, can you please check for me can I get the 20% discount too? BTW i am from KL and i definitely have to settle it in one day…. Sorry, I’m not sure about Bukit Mertajam branch. If you from KL why do you want to PPS at Bukit Mertajam? Then if you want to do maintenance you need to go all the way to Bukit Mertajam? Bro, RM990 for Forte with BK no discount furthur for MFC member? That’s the best they could give and indeed it’s a good deal. Huh? But I already checked their website, their service available @ Penang only right? Or the service actually available @ KL too? If KL also available, may i know is it possible for me to get the 20% discount too? For Sunway PPS yes able to get the discount by just filling in the form. If you want to do PPS at Sunway just fill up the form will do. May i know what you mean by Sunway PPS? 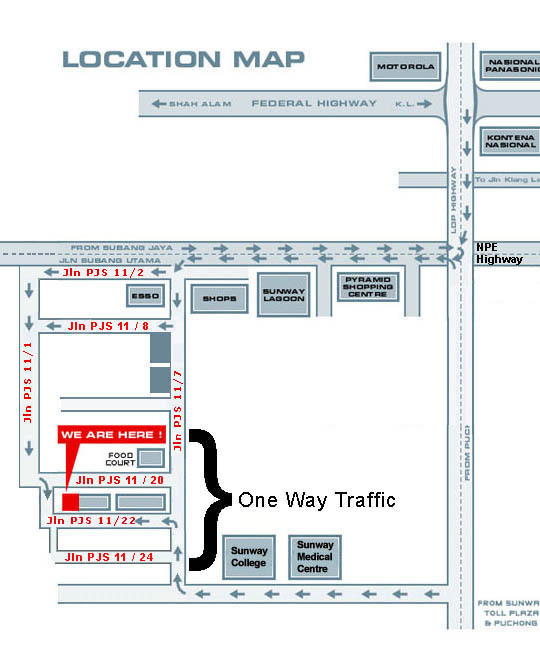 Are you trying to tell me there is a branch @ Sunway Carnival area too? And the discount is for that particular branch only is it? I already filled the form and submitted, then I just wait for their call? Yup, once you fill in just wait for their call. Sorry ya, i am really newbie for about car protection issue, do you mind to compare with this promo either which one better in quality or better in terms of economy wise and share to us? I have only done PPS based on the feedback from my friends that all did PPS and some forums recommendation and my car still very good condition now. PPS is in the market for quite sometime and it’s very reputable hence it’s worth. The deal that you sent me, I’m not too sure. need ur opinion, which one to do first? then if do windows tint first, is it I need to wait for 48 hours then can do the PPS or could directly do the PPS after tint? 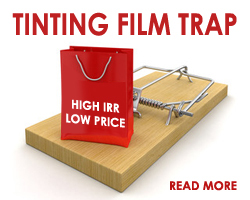 You can do tinting 1st and yes wait for few days only go for PPS will do. Have you submitted ur name in the form for the discount? If not you may do so. yes i’ve submitted the form, how they will contact again? They will call you by phone. I get my solid white vios coated but I found out that watermark is still easily spotted on the paint surface after kena rain. 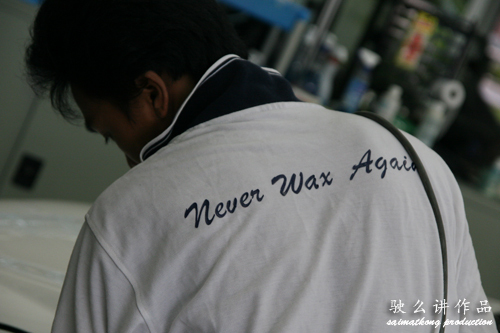 And I couldn’t get rid of these watermark eventhough I wax it (recommended by Raymond). I did sent my car to do follow up. It looks great after that, but the watermark is there again after rain. Car of my friend which is metallic painted do not face such problem. Did any other solid white car out there face the same problem? Mine is solid white as well but seems okay. Did you wash ur car often or not? I wash it weekly. How do u take care of your solid paint? Wash it whenever it get wet from rain? These stubborn watermark formed after it is dry after rain. Mine I just wash it weekly and it will be alright wor. Maybe the paint type is different. Just wanna know whether there is any solid white vios having the same problem as mine. Did you check with Raymond on that? Maybe he can advise. Sure i went back to him. He said maybe i didn’t wash it regularly. And he ask me to wax it. I waxed it, but it does not work at all. Hi SMK, I just called and asked the price for my new Toyota Vios. The saleslady told me is RM880 with 5 years warranty. I ask for discount and she said that’s the firm price. Once you fill up the form you will be able to get 15% discount and they will contact you for the arrangement. Sorry only for Sunway Main outlet. Thanks. New Fortezan here, already submitted the form last week. No calls received so far. I wanna ask if still having the 20% discount ? Welcome to MyForteClub! Hope you enjoying ur ride! They should be calling you soon and please wait for a few days then. My car have tough bird dripping, after cleaned it, there is still some yellow stain on it. I think of using wax or polish to remove that stain, will that spoil my coating? Did you go back to the PPS there? They have the cleaner to do the job! didn’t u had this blogpost abt pps. just gotten my grand livina yesterday. advisable to do it so immediate? Please submit your interest in the form and they shall call you. Mine one is Inspira 2.0 and I submitted the form b4 CNY, and one girl called me during CNY but I was not free then. So drag until now only I got time to do.So should I submit the form again? No need, I could help you to let them know again. Thanks. Hi Bro, I just did my Vios on February thru this blog. Less than a month my tail got bang and now it has been repaint. Only the boot cover till the number plate there. L shape. If i wanna recoat that particular section do i need to submit my name in order to have a discount? Could you advise me on that? Thank you. I will get PPS to contact you then. 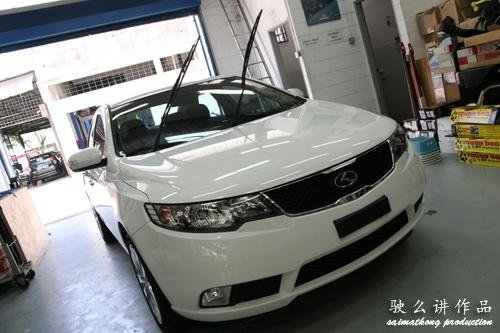 May i ask that..a new car (solid white) need to be coated with pps right away? Or wait about 6-9months just go and pps? 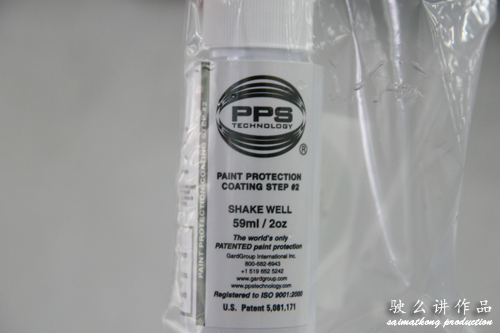 You should do the PPS coating as soon as you could to protect the paint. The form is embedded in this blog post itself. Please search for it. Was quoted RM980 for a Prius. Any possibilities for some discounts. Anymore discounts offered for existing customer to PPS new car? Do you know how much before discount? how much you charge coating for polo? Should be RM780. Fill up the form for 15% discount and will schedule appointment with you. How much is the pps for proton PREVE? How much does Shine N Shield charge on PPS with discount for a brand-new Suzuki Swift (to be received from dealer next week)? Additionally, is PPS available for rims? PPS for Suzuki Swift is RM780, there’s no need pps for rim. In your reply to Vincent on May 28, you quoted a before-discount price of RM780 for Polo, am I right to interprete that RM780 you have just quoted for Suzuki Swift, which is about similar in size with the Polo, is also a BEFORE-discount price? Is the discount 15% or 20% currently? I will fill up the form early next week. Yes, it’s before discount price and it’s at 15% discount. How much is the pps for a Myvi? PPS for MyVi is RM780 before discount. How much of the pps for toyota vios??? And u there got car wash services??? It’s RM780, fill in the form for 15% discount for my blog readers. Yes, there’s car wash services for members who have done detailing there. If not member also can go there wash car??? I think they might wash for you if you never done your detailing there. I filled up the form last Thurs but have not heard from them since. Should I refill the form again? I believe they will contact you soon. Hi ! Read many great reviews . I would like to get my new BMW 528 detailed. Could you get me a discount? Appreciate if you could get them to get in touch. Yup indeed it’s good product and my car is still looking as brand new after washing each time. It’s RM1080 before discount “PPS for BMW 5 Series”. Fill up the form and they will contact you shortly. I just submitted my name for the PPS discount for Kia Forte. Yeah, they should be calling you shortly. It has been a week and they not call me back yet. They should be calling you soon for the discount as need to wait for a group of few ppl. PPS for Estima is RM1280 before 15% discount. For discount please fill up the form. Thanks. what is the price for Vios? The detailing PPS for Vios is RM780 before discount. I would like to protect my K5 with PPS. How much is it before discount? How do I get the form to be entitled for discount? Please advise. Thanks! PPS for K5 Optima is RM980 before 15% discount. You just need to fill in the form in this post and they will call you for appointment. What is the price with discount for my Honda EK ? It’s about RM880 Sedan, RM780 for Hatch back, subject to paint condition. Add on bodykits/spoiler extra RM100. Fill in the form for 15% discount. Mazda 3 should be around RM880 before discount. Fill up the form for the 15% discount. 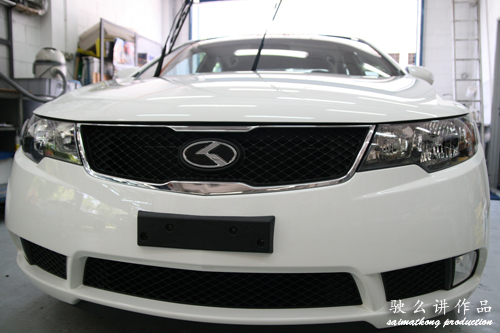 What is the discount for Preve and what’s the final price after discount? Also after PPS, do we have to wipe the car everytime after we watered it? I thought can leave the car to dry by itself after watering it since the water doesn’t stick to the paintwork after PPS. Please advise. PPS for Preve is RM880 before 15% discount. Yes, you still have to wash it as per normal. 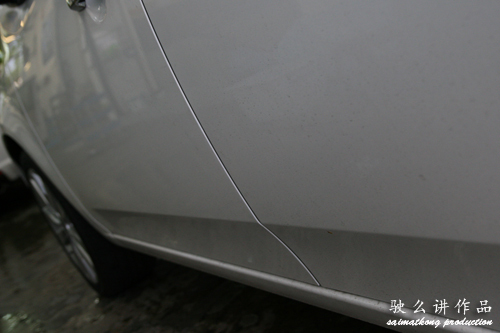 Just that dirt will not stick to the car body easily. Thanks. Have filled the form. Have filled up the form. Waiting for them to call. I have filled up the form. Alright, they should be contacting you shortly. Don’t worry the shall be contacting you soon. How much for Mercedes CLS? Can you get the discount for the PPS at Penang? 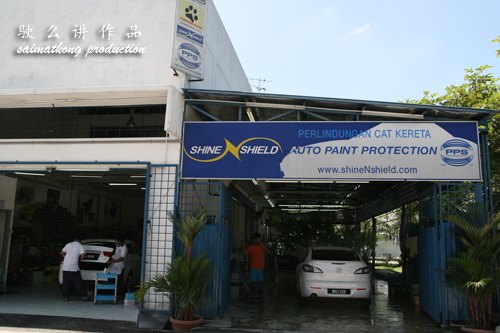 ShineGuard is their official branch in Penang. There are about 3 cars (My friends & myself) would like to take the PPS package. 2 Kia Forte + 1 Hyundai Elantra. How much for New Honda City? Can get any discount? Thanks. Thanks SMK. Ok I have filled up the form and shall wait for their call. I have four cars and can they come to my house to do it? Sorry, I’m afraid not because there’s a lot of tools need to be used and need a good lighting for it. Just submit your name for the discount and they will contact you for appointment shortly. i just found this website. Can i still entitle for discount for this service? Yes, just fill up the form and they shall contact you for appointment. Hi….. I will be getting a new Peugeot RCZ and wish to consider either a PPS or Sierra Glow treatment. Any advice and what is the cost for the PPS treatment as it uses Teflon? Is there any discount offered? For Peugeot RCZ it’s RM1080 before 15% discount. Just fill in the form here to get the 15% discount and wait for the call for the appointment. I’m using PPS for almost 3 years and it’s still good and shine as always. It’s a good deal for car lovers. Just filled up the form for doing my new Honda city. But normally wat is waiting period or when do they call me ?? Should be within a week they should call you I guess. how much for new volkswagen passat? PPS for Volkswagen Passat is RM980 before 15% discount. Fill up the form for discount ya. is the shop open on sunday? bcoz i only free on sunday. Not open on Sunday. Try to make an appointment on normal day. Just submit the form for 15% PPS detailing discount. I am lazy to drill down to check should there be anyone already ask about KIA Sportage..
2 if you can explain what is diff between PPS and Sierra Glow treatment. would be appreciated. It’s RM1080 before 15% discount. The different is the telfon technology and it’s bond in the paint and it’s long in the market with many proven results. Thank you SMK so total after discout as 918.. But would like to know more that this price is inclusive on interior one? I have heard there is option to do interior as well…Please advise..
Not sure if anyone has already asked this, but I’d like to know the price for Peugeot 408T? I’ve bought the car and will probably get it next week, do you think I should fill up the form after i get the car or I can fill it up now? Also do I still need tinted if im getting this PPS on my car? how much now for Forte? After get new car then need to do this immediate? As soon as possible lor. Should be RM880 before 15% discount. Just fill in the form for the exclusive discount from PPS. I wish to have my car, a Peugeot 508, treated with PPS. Does the discount offer still applies? Yes, still applicable. Just fill in the pps form and they shall contact you shortly. PPS detailing for Toyota Prius C is RM980 before 15% discount. Just fill in the form for the discount and they shall be contacting you. It should be RM880 before discount now. They should be calling you? Hi bro, may I know what is the best price for VW CC white? TQ. PPS for VW Pasat should be RM1080 before discount. Please submit your details for the discount and they will be contacting you shortly. All sifus who done PPS, is it worth it? Will water mark and tar residue still a problem? will the coating cause these to be super difficult to remove? Wow, Saimatkong. that’s great. Just curios if we wash our self, will scratches easily done on the PPS surface? If it did scratches, can the yearly maintenance kau tim the scratch mark? May i know PPS for MYVI 1.5 SE is how much ? And after discount is how much ? PPS for MYVI is RM880 before 15% discount. Yup, they will contact you for the schedule. Myvi before discount not RM800 only ? Then may I know how long to wait? If this month can anot ? They should be contacting you and you might want to check with them on the date. Thanks. Hi can i know how much will it cost for volkswagen cc? PPS for CC should be RM1080 before 15% discount. Fill in the form for the discount and they should be contacting you soon. My new car kia forte white How much ??? wanna check for I10 – white. How much would it be? How much is the charge for Honda Jazz? If I get the car done in Penang, will I get the discount? PPS for Jazz is RM980 before discount. Sorry Penang, you have to contact them yourself ya. Hi quote me for i10 please. Thank you. 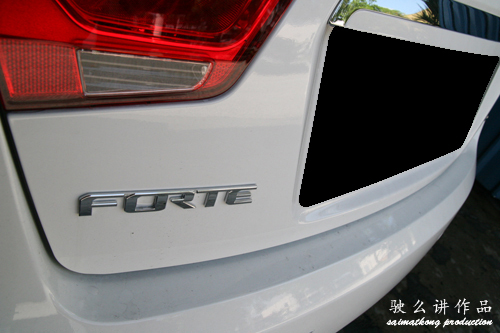 Forte is RM980 before 15% discount. i!0 is RM780 before 15% discount. Just fill up the form for the discount. How much for Honda accord 2008? PPS for Honda Accord is RM1080 before 15% discount. Fill up the form for the 15% discount. Hi bro,how much for alphard 2003? PPS for Alphard is RM1380 before 15% discount. Fill up the form for the discount. Does the discount offer still applies? How much for Honda Civic 2013? How to make appointment? Yes. PPS for Civic is RM980 before discount. Just fill the form to get the discount and they will be contacting you. hi how to get discount for civic hybrid 2013? Just fill up the form here to get the discount. Thanks. I submitted the form 2 days ago. Until now, still not receive any call. Should I go their place and mention your name? Yah, they should be calling you next week I supposed. Can I know the price for Mazda CX-5 ? PPS for Mazda CX-5 is RM1180 before discount. Please fill up the form for the 15% discount. Thanks. after fill up, that’s it? can go there n tell them straight? Yup, they will call you for schedule later. 1) Is the package including interior detailing 2) Can the PSS apply to all windows and windshied? And is this cover under existing package? They have addon package for Interior and Windows. Still have discount?i drive whitey forte and plan to do PPS..how much for forte and can it be arrange this week? Yup, please fill in the form and are you interested in tinting? I could get some discount too! The discount and price only applicable to Sunway PPS. hi. how much is the price for peugeot408 ? PPS for Peugeot 408 before discount is RM1080. Should be RM1080 before discount. Please fill in the form and they should be able to advise you. Hi,wondering whats the cost to do a Prius C. Was quoted 980 but it may have been mistaken for the bigger version Prius. Mine is the smaller version. Have you filled up the form and they contacted you yet? still available the 20% discount? jazz. Hi Kcee, please submit your name in the form for the discount. Hi kcee, yup just fill up the form for the 15% discount. Yup – still applicable. 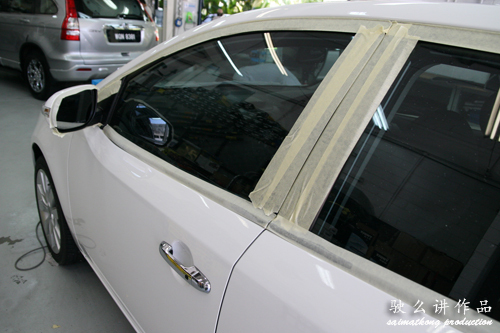 Better do the tinting first. You just need to wait for the call to schedule the appointment. SMK, how much for a new BMW 320i? Please submit your details and you will be contacted soon. Thanks. Hi, how much for civic 2016? How much for Accord or BMW 3 series? What about maintenance, issit it inclusive? Else, how much for maintenance? Is this offer still valid after so many years? May I know how much for Toyota Wish? I’ve sent the details to your email. Thanks. How much for Mazda 3 new car? Want to make appointment on 08 January 2018. Please reply. Hi wanted to do a coating (ShineShield-PPS Car/AutoPaint Protection). Please PM Coating for Mazda 3 2018.